The top will be a perfect addition to any child's wardrobe, it is working up very quickly and looks absolutely adorable on little ones. It can be worn as a tunic as well. 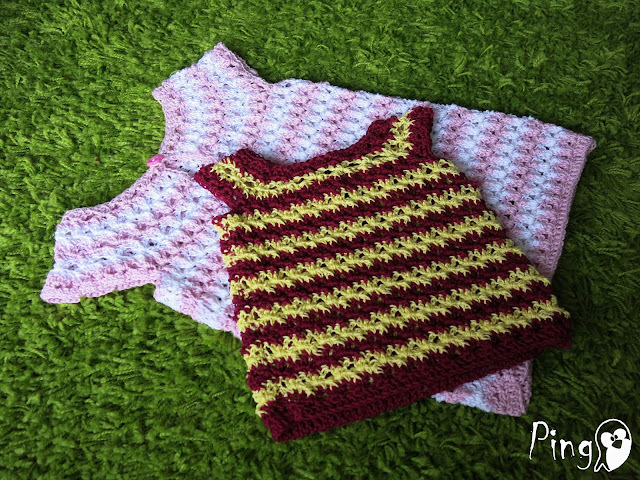 The length is easily adjustable, the pattern is available in four sizes - 0 to 7 years. The model has a button on the back which makes it look pretty cute and easy to dress on little kids. You can find the crochet pattern for Summer Top Zoe on special price (only $2.99) today and tomorrow on Pingo's Shops: Etsy and Ravelry.